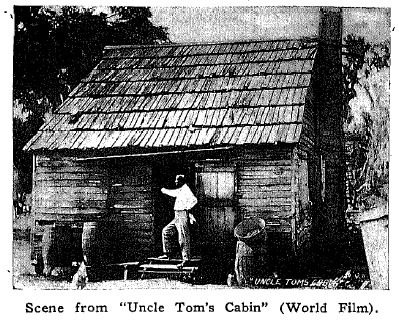 ~ Uncle Tom’s Cabin (1914) – Harriet Beecher Stowe published her great anti-slavery novel in 1852. Adapted as a play in 1853, it had continuously been staged in the US for a century. The World Producing Corp. set an important milestone in American movie history. 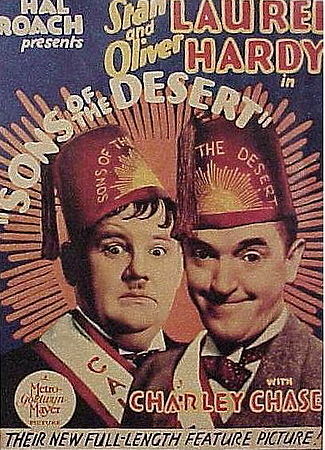 ~ Sons of the Desert (1933) – Stan Laurel and Oliver Hardy, along with comedian Charley Chase, star in this riotous comedy. 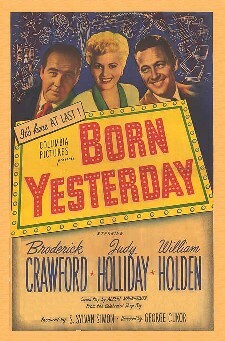 Directed by veteran comedy director William A. Seiter for Hal Roach Studios, the film was ranked among the Top 10 box office hits after its release. Film scholars and fans consider it to be the duo’s finest feature motion picture. ~ Born Yesterday (1950) – Judy Holliday’s sparkling lead performance as not-so-dumb blonde Billie Dawn anchors this comedy classic based on Garson Kanin’s play, and directed for the screen by George Cukor. Holliday’s work in the film (a role she had previously played on Broadway) was honored with the Academy Award for Best Actress, and it has endured as one of the era’s most finely realized comedy performances. ~ 3:10 to Yuma (1957) – Considered to be one of the finest westerns of the 1950s, it compares favorably with High Noon. This innovative classic from director Delmer Daves starred Glenn Ford and Van Heflin in roles cast against type, and was based on a short story by Elmore Leonard. 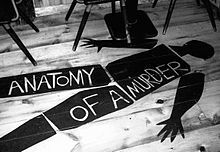 ~ Anatomy of a Murder (1959) – Director Otto Preminger brought a new cinematic frankness to film with this gripping crime-and-trial story shot on location in Michigan’s Upper Peninsula where the incident occurred. James Stewart received his final Oscar nomination for his work. The flick includes an innovative jazz score by Duke Ellington (who makes a cameo appearance), and one of Saul Bass’s most memorable opening title sequences. 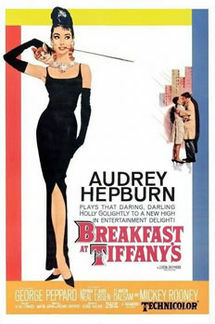 ~ Breakfast at Tiffany’s (1960) – Truman Capote’s acclaimed novella, the author believed that Marilyn Monroe would have been perfect for the film; and judged Audrey Hepburn, who landed the lead, just wrong for the part. However, audiences disagreed. Critics also have lauded the movie’s director Blake Edwards for scenes using creative visual gags. Composer Henry Mancini’s classic Moon River, featuring lyrics by Johnny Mercer, received critical acclaim. Edwards and Mancini became cinematic collaborators for several decades. 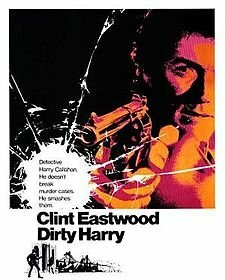 ~ Dirty Harry (1971) – Clint Eastwood’s role as rogue police officer Harry Callahan in director Don Siegel’s controversial paean to vigilante justice had marked a major turning point in the actor’s career. A Top 10 box office hit after its release, the film’s kinesthetic direction and editing laid the aesthetic groundwork for many of the 1970s’ gritty police dramas. Other highlights include a 1922 Kodachrome Color Motion Picture Test film; and They Call It Pro Football, which has been described as the Citizen Kane of sports movies. Established by Congress in 1989, the National Film Registry spotlights the importance of preserving America’s unparalleled film heritage. These selections are not considered the best American celluloid of all time, but rather as works of enduring importance to American culture. Under the terms of the National Film Preservation Act, each year the Library of Congress nominates 25 films to the National Film Registry that are culturally, historically or aesthetically significant. They must be at least a decade old. Spanning the period 1897-1999, the movies named to the Registry includes Hollywood classics, documentaries, early works, independent and experimental motion pictures. This year’s selections bring the number of cinema in the Registry to 600. This entry was posted on Wednesday, February 6th, 2013 at 12:37 am	and is filed under Blog by Manny Pacheco. You can follow any comments to this post through the RSS 2.0 feed. Responses are currently closed, but you can trackback from your own site.